Cayenne Pepper, Ginger Root, Goldenseal Root, Gravel Root, Juniper Berry, Marshmallow Root, Parsley Root, Uva Ursi Leaf & Eleuthero Root. Description: This formula has been used historically for the aid of the malfunctioning prostate gland. This formula has been designed to dissolve the stones that are in the kidneys, as well as clean out other sedimentation and infection in the prostate. This formula works exceptionally well by itself. 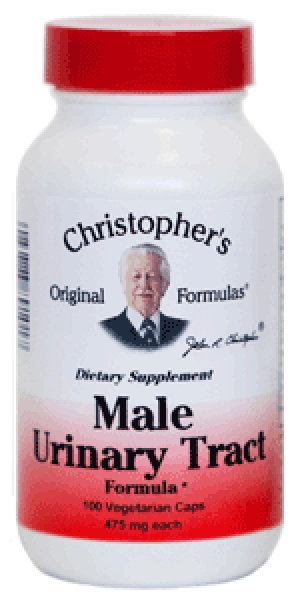 However, when combined with Prostate Plus Formula, another male urinary tract formula, they work very synergistically together. All encapsulated products are in a pure 100% vegetable based capsule.